Few companies ever pass the milestone of breaking into the outer space market. But now, the Hadhad family, who fled their home in Syria six years ago, can count themselves among that group. Back in 2016, they opened up a chocolate shop in Antigonish, N.S., called Peace By Chocolate and quickly became a Canadian success story. But most recently, their treats have reached a new orbit of success with astronauts floating in the International Space Station (ISS) posing with their treats in zero gravity. “We are always looking to go beyond boundaries,we are always with the belief that, even the sky is never the limit,” said Tareq Hadhad, a Syrian refugee and founder of Peace by Chocolate. 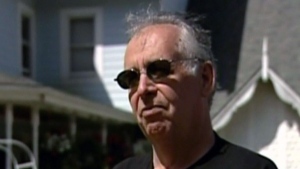 His family opened a factory just outside of their home in Antigonish last year, with their shop in town regularly filled with customers. Each of the chocolate bars have the word “peace” printed on them, translated into numerous languages from around the world, including Spanish, Arabic, French and even Mi'kmaq, which is spoken by the Indigenous peoples in the region. On Wednesday, Tareq Hadhad tweeted a picture of some of the crew of the ISS enjoying their chocolates—as the space station floated 408 km above the Earth. The picture was taken to commemorate the United Nations’ International Day of Peace which is being held on Friday. 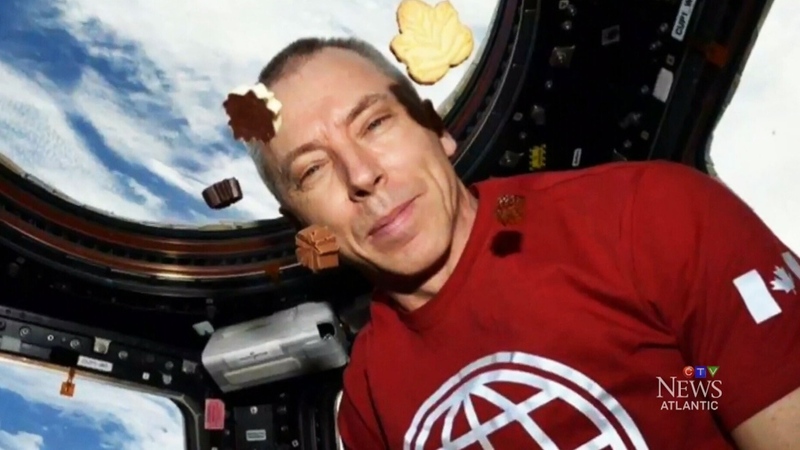 The chocolates were taken aboard the ISS after Hadhad said he bumped into NASA astronaut and current commander of the ISS Andrew Feustel, who holds dual American and Canadian citizenship. CTV Atlantic caught customer Patricia Cormack who said she thinks the Hadhad’sbusiness strategy has clearly paid off. “We are always looking to go beyond boundaries,we are always with the belief that, even the sky is never the limit,” said Tareq Hadhad, founder of Peace by Chocolate. The success story is remarkable considering the family’s past. Hadhad, an aspiring physician, said he was forced to abandon his studies after a bombing destroyed his father’s chocolate shop in Syria in 2012. He and several members of his family then fled to Lebanon and spent the next three years in a refugee camp. They settled in Antigonish in early 2016 as Canada accepted a wave of more than 25,000 Syrians. The family opened the shop less than a year later. “We say ‘peace’ is beautiful in every language. Peace is for everyone. Now we say that ‘peace from space’ is also doable,” Hadhad said. But with the stars behind them, Hadhad says that they face the arguably tougher frontier south of the border: The United States.